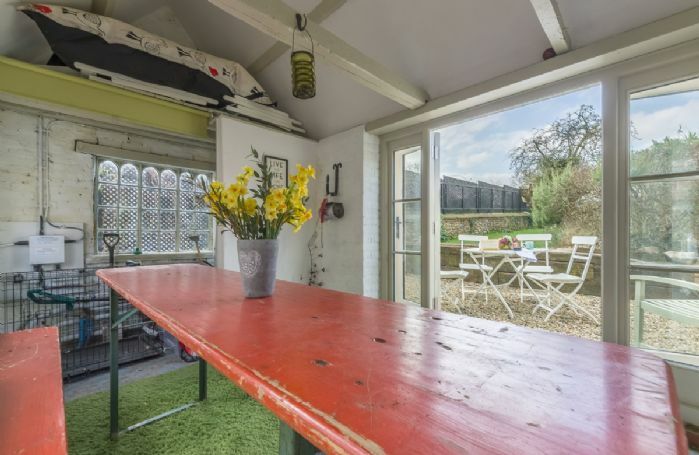 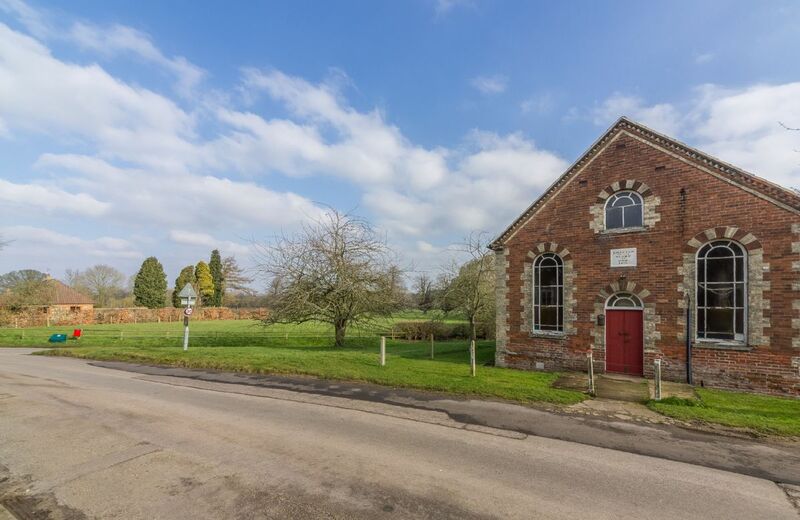 This lovingly converted flint cottage overlooks the village chapel, open countryside and the West Raynham Estate. 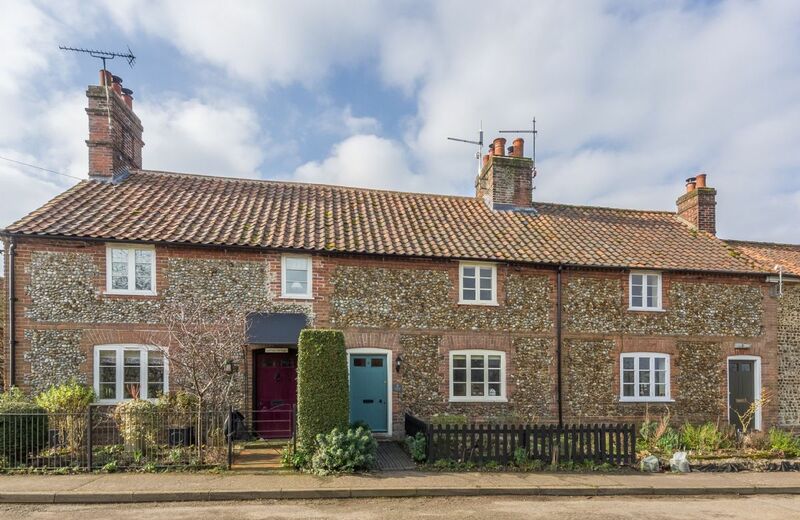 Having been beautifully restored and styled it still retains plenty of character which makes this little bolthole so special. 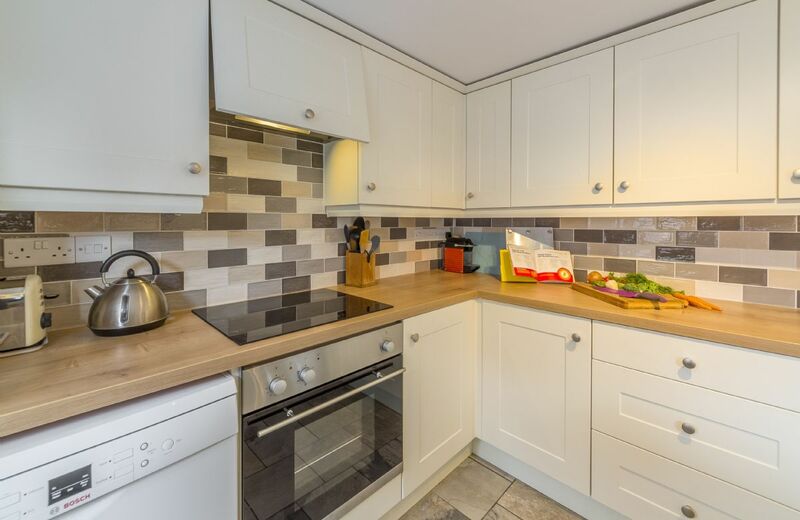 With a well-equipped kitchen you have everything you need to put together a delicious romantic meal. On warmer days head outside and dine alfresco in the courtyard area, or in the outside brick-built summer dining room. 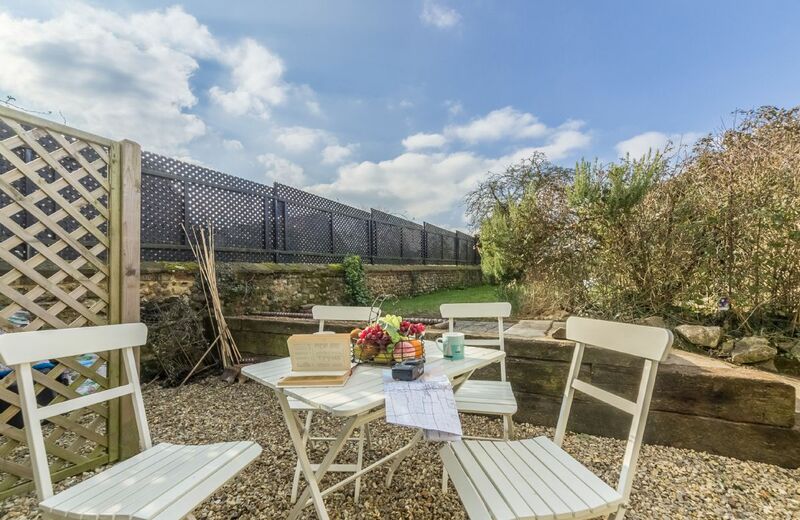 Beyond this, you will find an enclosed private lawn garden, a perfect for children and pets to play in. 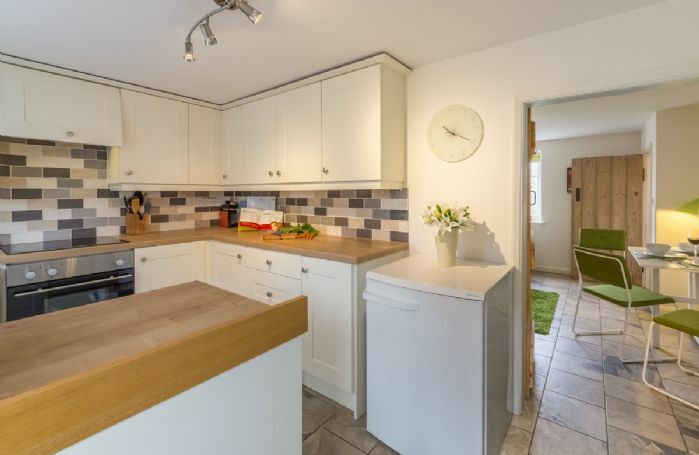 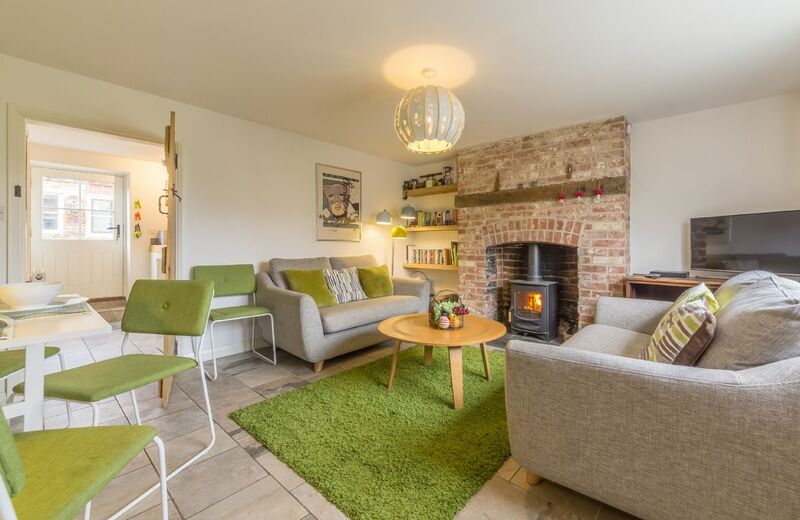 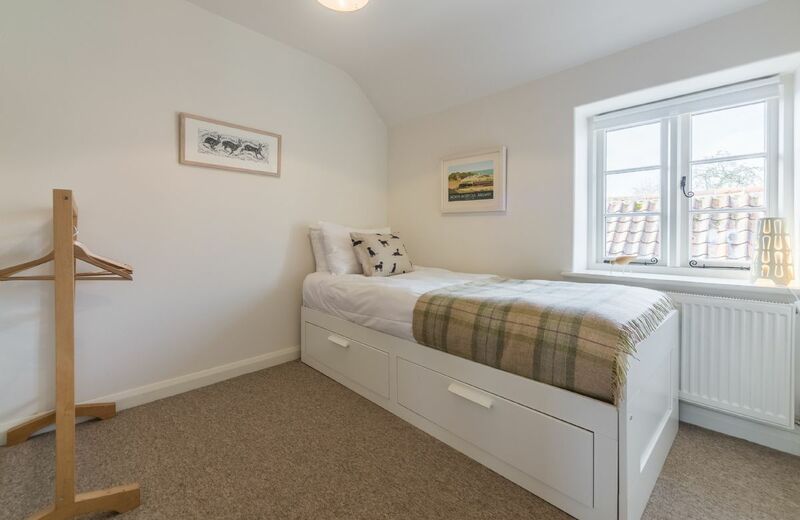 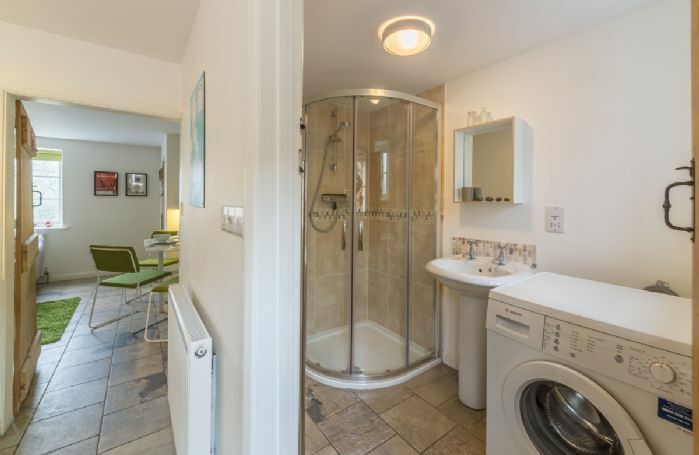 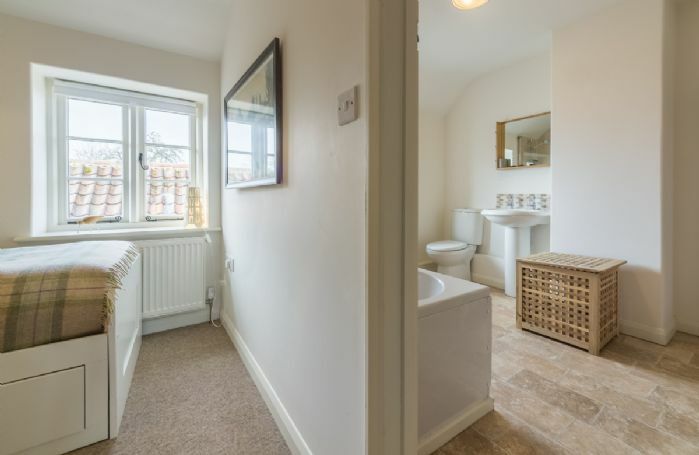 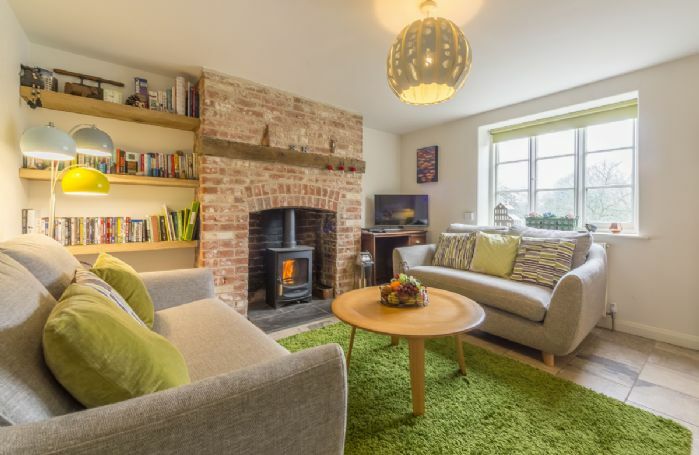 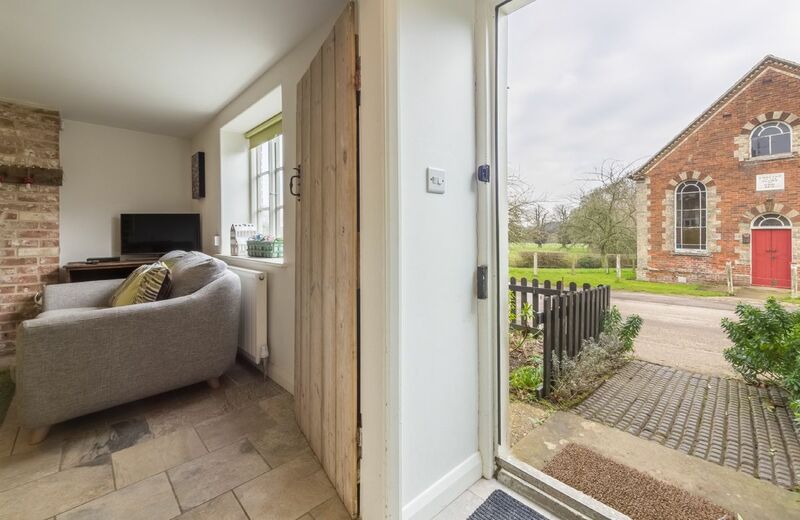 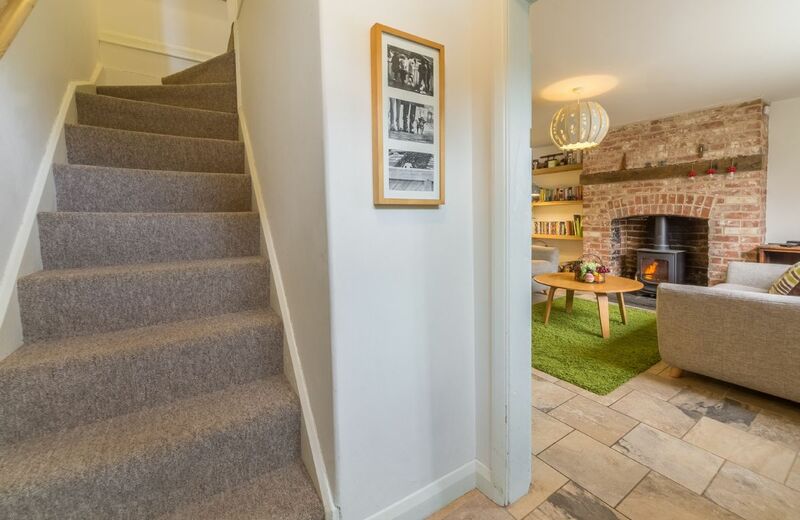 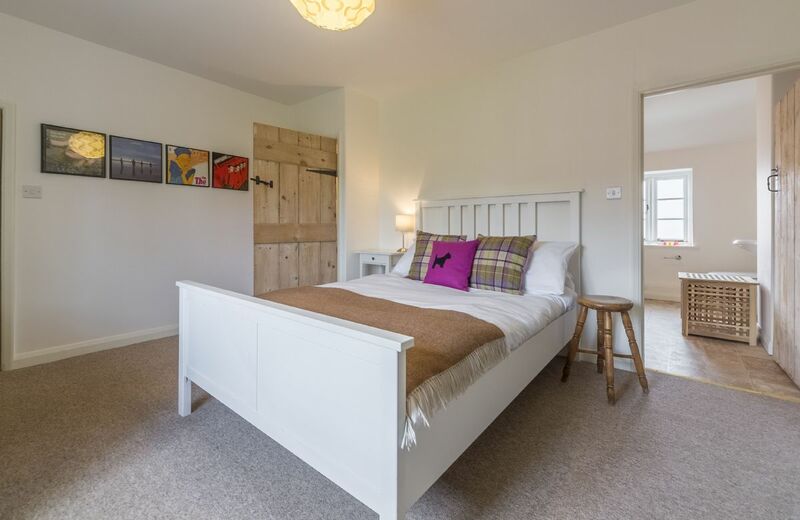 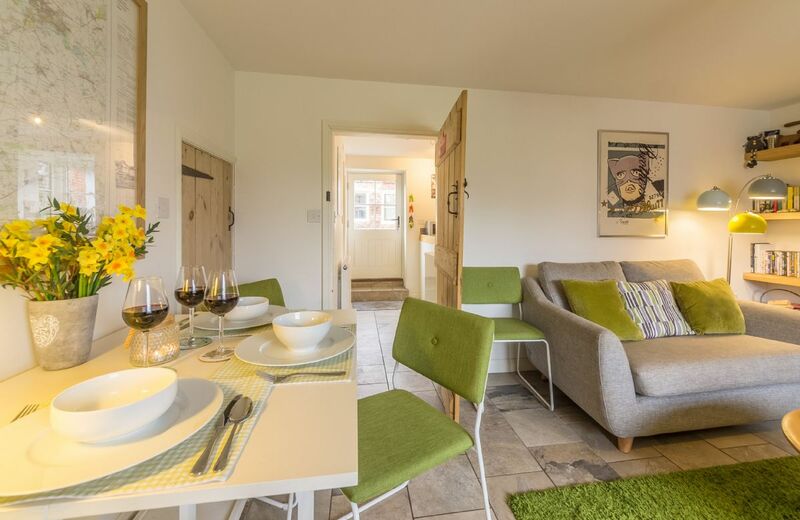 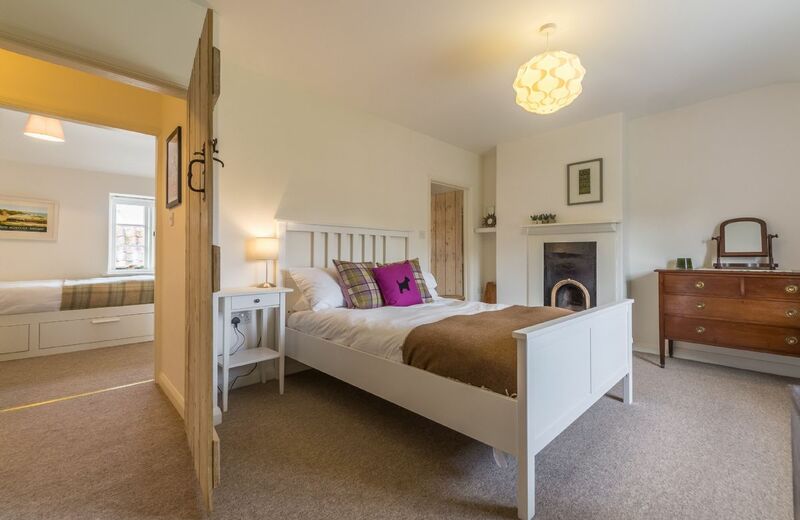 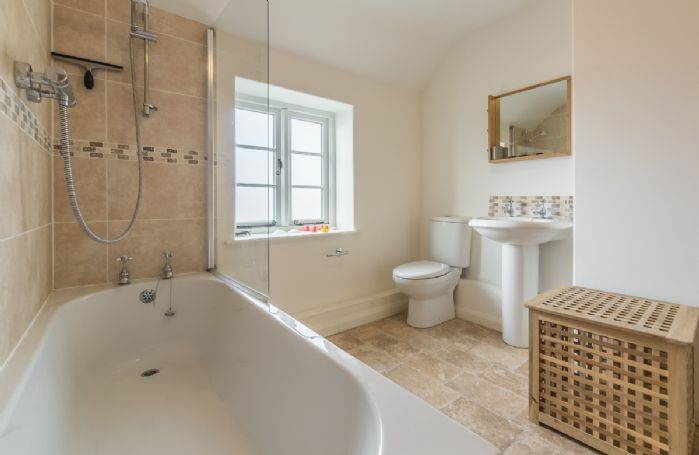 Upstairs you’ll find a spacious double bedroom with feature fireplace, with views over the Raynham Estate to the front and a smaller single bedroom to the rear, both served with a Jack and Jill style bathroom. 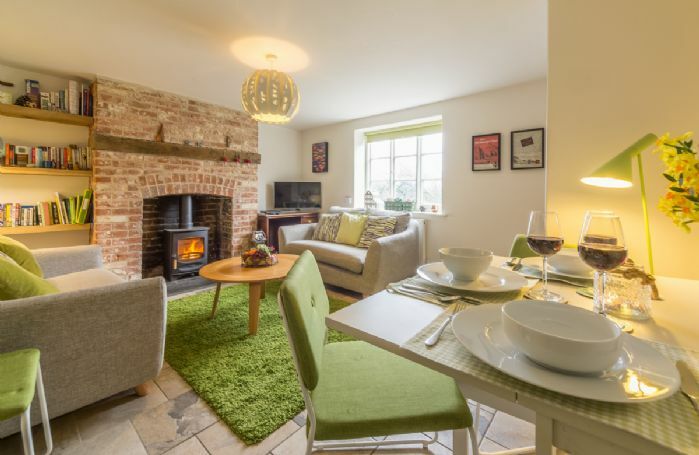 This romantic get-away is perfect for couples or small family wanting to escape from a busy world in a pretty peaceful village. Make sure to bring your walking boots or bicycles, you will be rewarded with quiet lanes and some wonderful birdlife and wildlife. 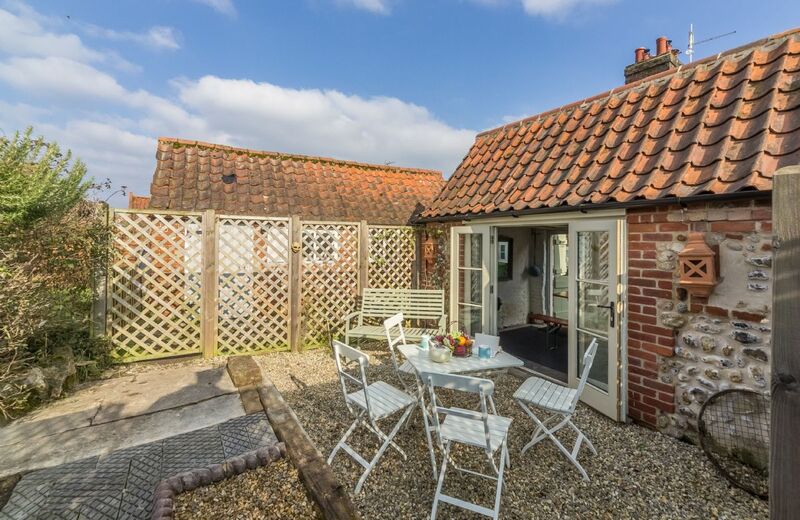 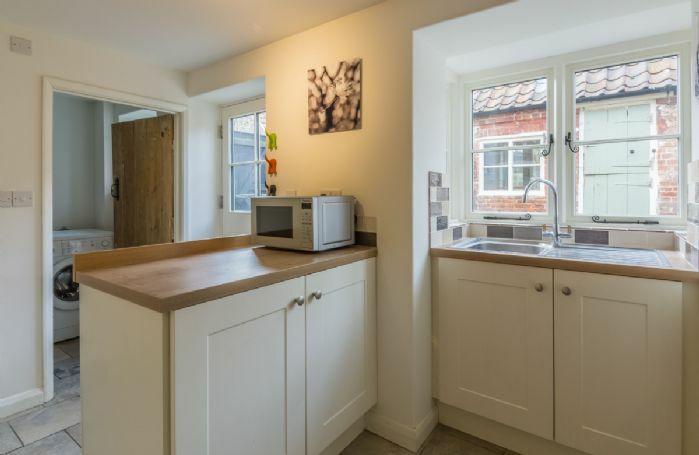 West Raynham is within an easy 20 minute drive to the sandy beaches and big skies of the North Norfolk coast. 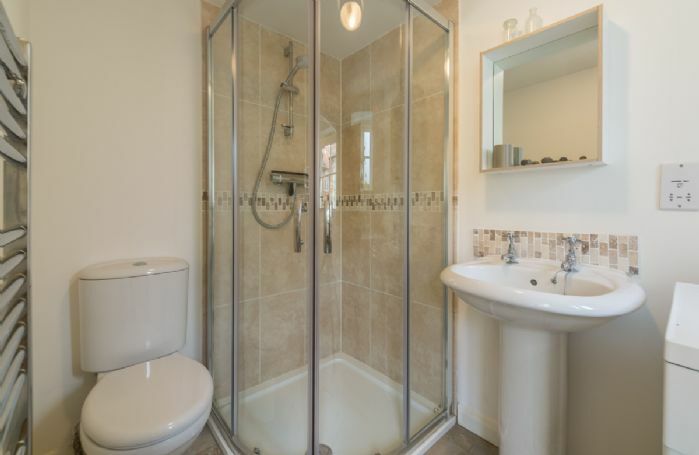 Jack and Jill style bathroom. 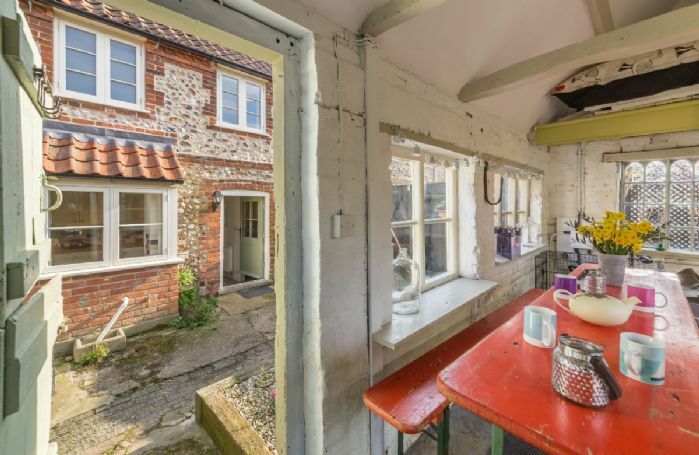 20 minutes’ drive to the coast. Outdoor, brick build summer dining room. Electric cooker, microwave and fridge with freezer compartment. Flat screen television with Amazon Prime and DVD player. 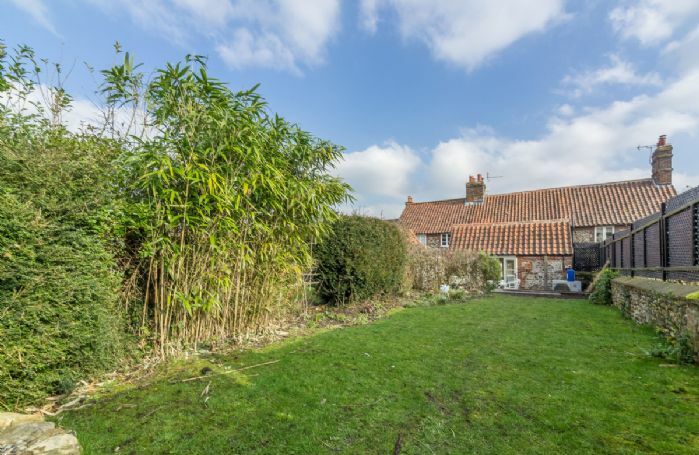 The RSPB reserves at Snettisham, Titchwell and wildlife trust at Cley-next-the-Sea are also within easy reach. 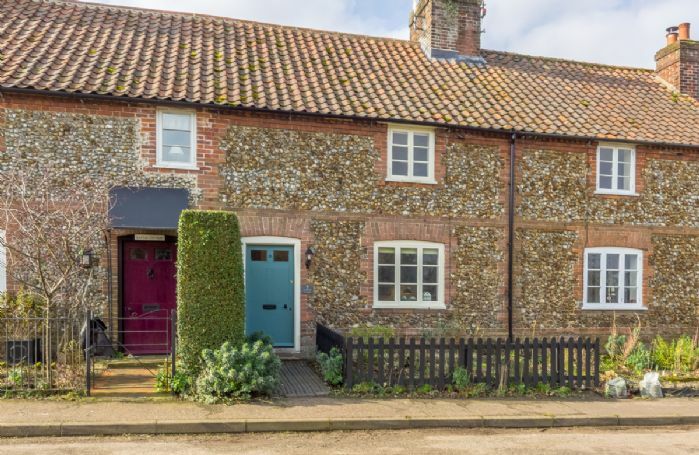 Foodies should visit the nearby good local pubs and restaurants including the famous Dabbling Duck at Great Massingham, which is often frequented by the younger members of the Royal Family when they are staying at Sandringham or Anmer Hall. Head to the Raynham Hall Estate in the village, where you can enjoy strolling along the banks of the River Wensum and in the beautiful parkland where you are likely to see a large number of birds and wildfowl. If you want to explore further afield then jump in the car and head to the coast and visit Holkham or Wells-next-the-Sea beaches where the white soft sand goes on forever. Burnham Market with its pretty shops, galleries, cafés and deli is a must, as is Pensthorpe Natural Park, just outside Fakenham. 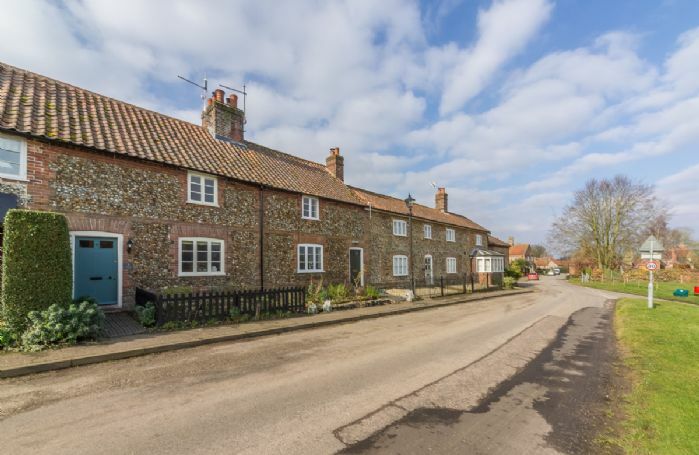 If you're looking for some culture and history, visit Houghton Hall, Holkham Hall or Sandringham, HM The Queen’s country residence. The city of Norwich is worth a day trip to with Norwich Castle and the old cobbled lanes of The Cathedral Quarter.